Twitter says The Irish Times has come over all alt-righty. Over the past few weeks, The Irish Times has found itself trending on Twitter after publishing some ‘alt-righty’ opinion articles. Readers took aim at the paper’s editorial judgment after it published Nicholas Pell’s A-Z of the Alt-Right and William Reville’s ethno-nationalistic article that implied ‘European culture’ was at risk because of ‘mixed-blood’ from migrants. These on the back of some anti-feminist articles by less than expert commentators. “WTF, Irish Times?” Twitter asked. These articles are being published in a context of heated debates in centrist, liberal societies about the accommodation of vocal conservative, right-wing (alt-right/neofascist) populism. Should it be given a platform? Does publishing these articles normalise these views? What should one of the country’s most respected titles do? And to some extent, The Irish Times has already replied. He said: “the purpose of the Opinion and Analysis section is to inform readers about the issues of the day, offer insights and give them something to think about. Its purpose is also to stimulate and advance arguments about matters of public interest,” adding that Pell’s article met these criteria. But there are other, wider considerations for the audience that emerged from the online debate that was not addressed. Is the Irish Times normalising fascism? Should the Irish Times take an ethical stance on the issue? What should readers’ expectations of The Irish Times be? So, has the Irish Times gone all Alt-Right? The Irish Times is not having an alt-right meltdown. The paper has a history of having a few ‘in-house’ provocative and conservative commentators – Kevin Meyers did the Irish Mans Diary for long enough. It attracted many complaints and promoted some similar justifications for publishing it by editors. For every ‘alt righty’ article they publish they tend to publish replies from their own team. Una Mullally’s article argued that the editorial decision on Pell was simply wrong. Emer O’Toole wrote a satirical response to the idea of migration and national culture. And David Robert Grimes highlighted Reville &Co’s misguided fears. As well as this they are publishing letters to the editor attacking not only the articles but also the editorial agenda. They are willing to publish articles that are openly critical of both themselves and their contributors. The Irish Times has always had a platform for a diverse range of voices, and it is not fair to say it has shifted its character. However, a mainstream broadsheet national title giving an open platform to any ideology does play a part in the normalisation process. And this is where things get sticky. The Irish Times stance is that the alt-right movement is a presence in society and people need to be informed about it. This is fine by itself. But both the form and content of news articles are important in shaping opinion about the issues contained therein. Great care must be taken and there are still rules to follow. But, The Irish Times do not believe the hypodermic needle concept of how audiences interpret articles, echoes of which are seen in McManus’s defence. They want to inform and know that audience minds are shaped by a range of media sources. They don’t believe you will swallow an article whole. But that does not mean that the inclusion of such articles is not normalising these views. By giving an open platform in a mainstream newspaper it gives a sense of credibility or legitimisation of the opinions that represented. This is why the fair representation of vulnerable or minority groups is so important for social inclusion and public policy formation. Pell’s article and the terminology used by the alt-right are designed to exactly that. Perhaps there was a better way to inform or at least challenge what information is offered in both form and substance directly. Tramun also questioned the editorial decision to not challenge Reville’s position on ‘mixing races’ and ‘loss of national culture’. And he’s right, columnists opinions should rely on facts and avoid promoting hate. The title is still responsible for what it publishes and it is the role of the editor to challenge assumptions of writers. Was it just click bait? I’m going to give the Irish Times the benefit of the doubt here and accept that they published these articles in a genuine bid to inform. And besides, ‘shock’ articles were around long before the internet. Should The Irish Times take a stance on the alt-right? There is a theme through this debate that the Irish Times should be above publishing articles that contain incendiary material unchallenged, uncontextualized and presented as objective journalism. And they should be and usually are, that is when it does happen it provokes such a strong reaction. The readers are watching the watchmen, and uninclined to let them away with much unchallenged. Twitter wanted The Irish Times to take an ethical stance on the issue, as did some of their own staff. But this type of campaign journalism is not really a feature if Irish journalism. Maybe because it is such a small media market or because in the culture of Irish journalism balance and objectivity are highly valued, but specific political and social biases of news titles are rarely worn as a badge. That is not to say they are not absent, it is just that they are not explicit. Broad ideals are features of mission statements but they leave a lot of room for interpretation. Irish broadsheets tend not to overtly state they are pursuing a specific agenda and labour on under the veneer of balance. What should we expect from The Irish Times? All we can expect is for them to follow the regulations and their own manifesto. And here they do state that they aim to promote some wider liberal ideals such as “progressive achievement of social justice” and “a friendly society” as well as “peace and tolerance and opposition to all forms of violence and hatred.” And when they fail on this, we should expect them to be held accountable. 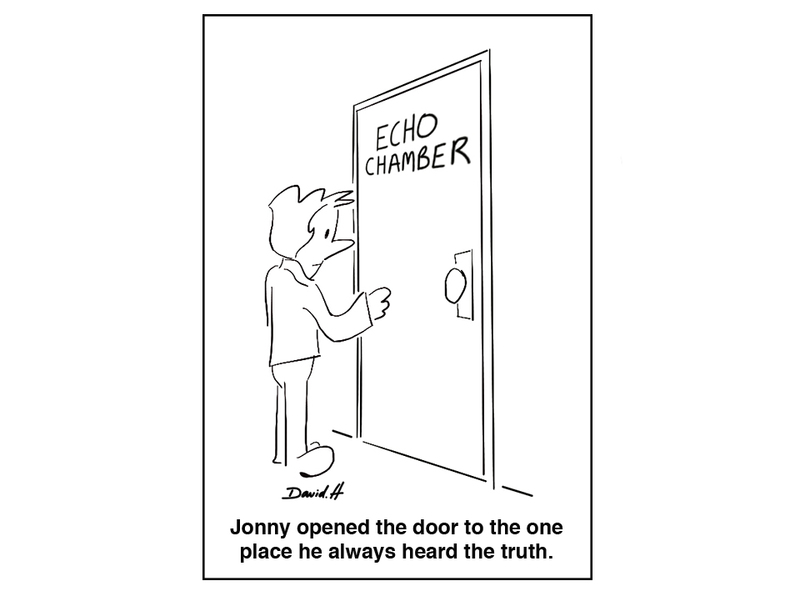 What we don’t need is The Irish Times to become part of the echo chamber problem. We need a space for varied opinions to be debated. We need a public sphere. They are, thankfully, listening to social media and direct complaints, addressing concerns and discussing their editorial ethics with audiences. Much more that can be said for most Irish titles. And while they are not gutter press, they do have gutters, just like wider society which it both reflects and informs. This article was amended at 22.30 on January 26, 2017, to correct: Sam Truman to Sam Tarmun. My bad, apologies Sam! how much do you think the Irish Times knew about Pell before they published him? Hey, it is hard to tell really. The Editorial justification implies that they knew a lot and had put some thought into whether to do it or not. I’ll take them at their word. I got the impression it was mostly post-justification. There is that too – was it just an after-thought dressed up as ‘careful consideration? I doubt it would first time they did that, similarly, it wasn’t the first time they thought hard and came to a disappointing decision like publishing it. I think Sam in the Inquirer said it best when he commented that we just expect better from the IT.